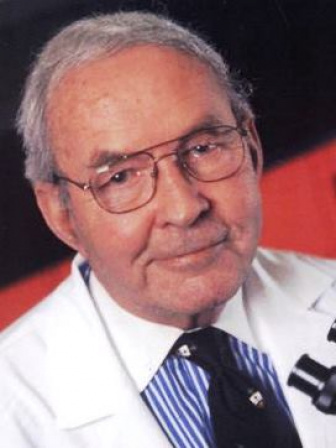 Robert Bruce Salter, CC OOnt FRSC FRHSC (December 15, 1924 – May 10, 2010) was a Canadian surgeon and a pioneer in the field of pediatric orthopaedic surgery. Born in Stratford, Ontario, he graduated in medicine from the University of Toronto in 1947, worked for two years at the Grenfell Medical Mission in Newfoundland, and spent one year as the McLaughlin Fellow in Oxford, England. Salter then returned to join the medical staff at the Hospital for Sick Children in Toronto in 1955. He was later appointed surgeon-in-chief. Salter developed a procedure to correct congenital dislocation of the hip, pioneered continuous passive motion for the treatment of joint injuries, and co- developed a classification of growth plate injuries in children, commonly known as the Salter–Harris fractures classification system. He also developed the Salter operation to treat congenital dislocation of hip. His textbook of orthopaedic surgery, Disorders and Injuries of the Musculoskeletal System, is used throughout the world. Salter died on May 10, 2010.